A collaboration with East Coast Wild Foods, this Imperial Pale Lager is brewed with wild-foraged Sumac and Sea Buckthorn. Brewed with all German malt, this robust IPL is heavily hopped with Topaz and Hallertau Blanc. Notes of sweet grain are complimented by the hop and fruit combo, leading to a tropical profile of lychee, grapefruit and pineapple. 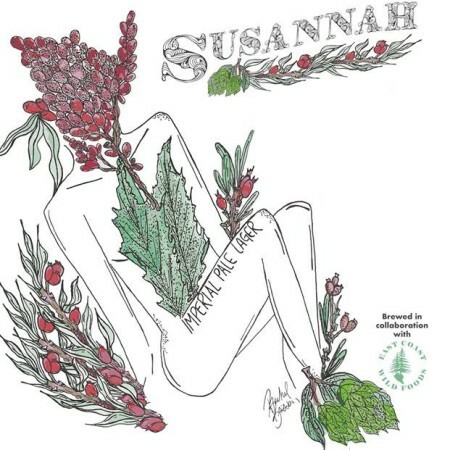 Susannah will be released on Friday March 8th – International Women’s Day – at 10:00 AM at brewery, with a launch party that evening featuring live music, food, and more. Proceeds from the event and sales of Susannah will go to the NSCC Foundation to support women in trades programs in Nova Scotia.